← Oh so much to say, but very little sewing! First it was just the three little ones. Manageably small. But useless at laying eggs. But we love them all the same. They are such fun to watch. 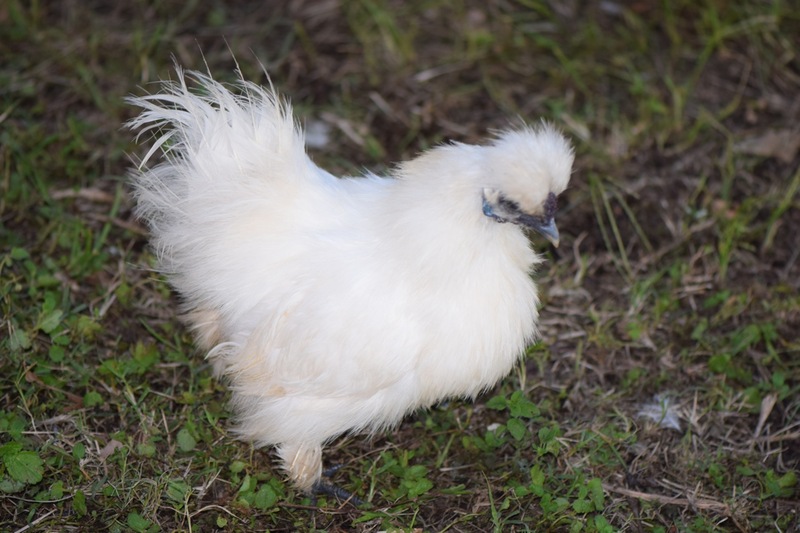 A “Silkie” chicken, utterly daft but tough as nails, and sweet to cuddle. So we added a big rough Tuscan one to produce something. 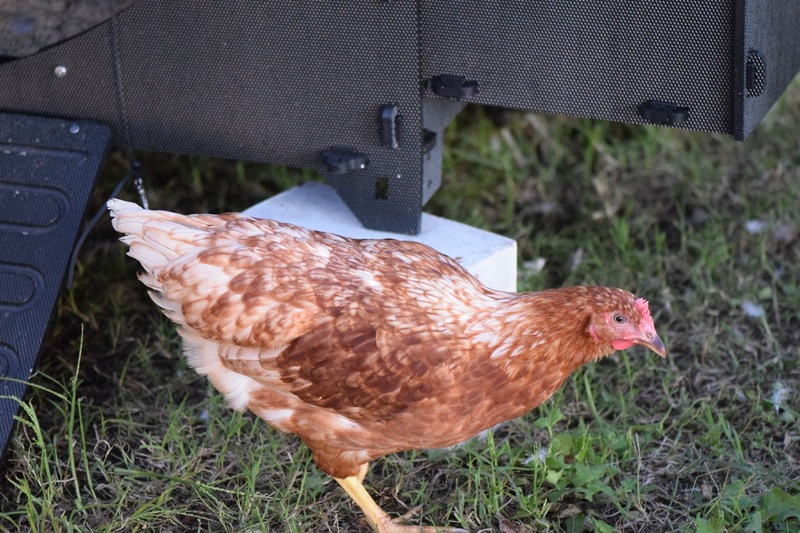 Meet “Tosca”, the local laying hybrid. She looks huge next to the other girls. Has she yet laid anything? No. “Ma fa freddo!”, said the man in the local agricultural shop. Well, perhaps to an Italian, 24C in the afternoon is indeed a little chilly. I am however wearing a teeny T-shirt. So, another freeloader, who will no doubt lay next Spring. Or not. 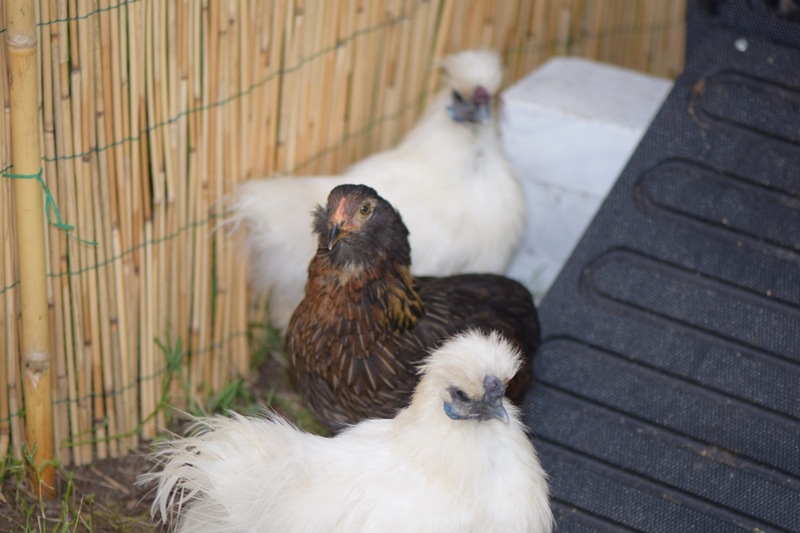 So then we added another laying hen to keep her warm in the winter on the roost, as the little ones seem to sleep in a pile on the flood of the coop. 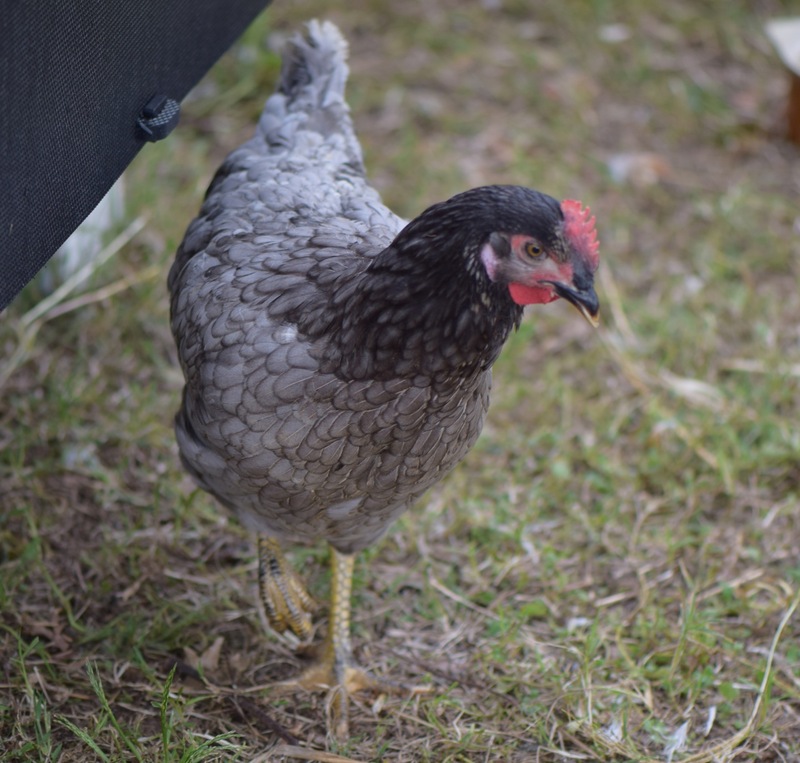 Meet “Azzurra”, a grey chicken called ‘blue’ around here. We just spent all evening looking for her in the bushes after she decided to escape our state-of-the-art electrified fox-proof pen. Poor lass. We thankfully found her before something big and hungry did. Enough chickens? Well, that was before our lovely neighbour Ms V decided to hatch a batch of chicks and give us some. 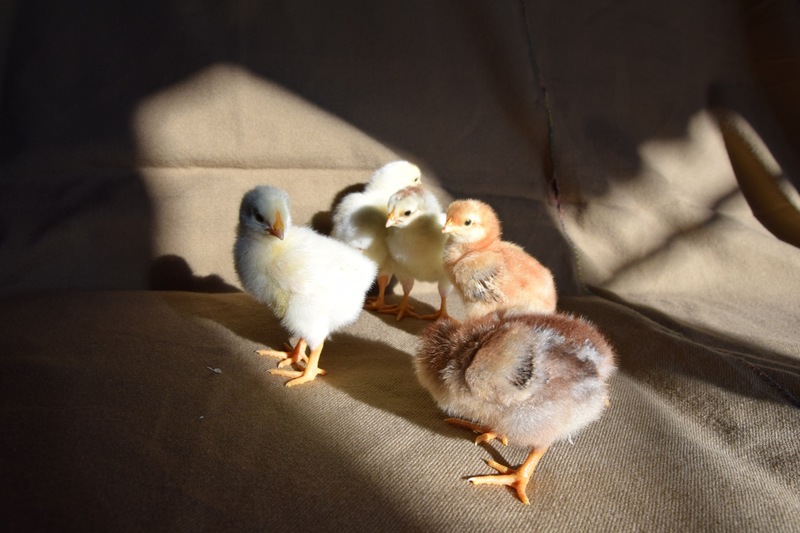 In our enthusiasm, we ended up with five “because they are so sweet and tiny and oh let’s have that one too because it’s a different colour, and that one too…” and so on. A little more than a week later, these are starting to look seriously huge. And boy do they EAT! Lol, yes, I can imagine they would keep you busy for a while! Nice to hear how your new life is progressing. How are the children settling into a new school with a different language?